Wooden Shutters has the tendency to rot, crack, split, fade and warp over time, that’s why PVC Shutters are made from a solid, durable and non-toxic, synthetic material and will not absorb moisture, split, crack or delaminate. PVC shutters hold up better than wooden shutters. They are water resistant, fire retardant and provide greater insulating power(3X) more than wooden shutters and excellent UV protection. PVC shutters are a great investment when buying a home. They look like wooden shutters, but come with a better price tag and longer life span. PVC shutters are the preferred choice when you have to consider things like humidity effects, durability and price. At Blinds Direct we can manufacture your PVC shutters to best fit your windows, inside your window frames or outside your window frames. They have a matte finish and are available in a wide variety of natural colours. The matte finish allows for less glare from the sun, making the room naturally brighter and open. These window treatments are perfectly manufactured and fitted to ensure when closed no one can see in, for maximum privacy day and night. PVC Shutters offer excellent control of light and temperature. Each set of shutters is custom-built to fit exactly and function perfectly. Manufactured from extruded PVC these shutters are impervious to moisture, will not crack, split or warp, and is easy to clean. On top of that it requires the least maintenance, it has an impressive ratio of cost to performance and is well-suited to recycling. Cleaning PVC is as simple as taking warm soapy water and wiping them down as often as you deem necessary. 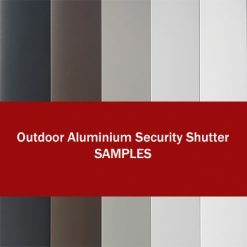 If you live in an area where you have high humidity or lots of rain PVC shutters are ideal for you. They offer great protection against these factors, giving them a longer life span and keeping them looking neat and new for a longer period. For more cleaning tips for blinds and shutters please read our blog. If you don’t want maintenance, time, weather and costs to be a big issue in window treatments for your house, PVC shutters are the way forward for you, they look like real wooden shutters but offer better sustainability and an affordable price. Call Blinds direct for our full range of PVC shutters available to you. 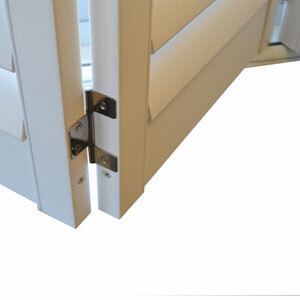 Premium Quality Shutters manufactured from extruded PVC. Not considered a security product. Panels provided in Bi-Fold pairs – this provides simpler DIY installation and user control. Panels available only in Satin White, Alu White, Lime Wash, Magnolia, Holland and Smoke. Stacking will require 40mm per panel. Soft cloth and water can be used for more stubborn dirt. 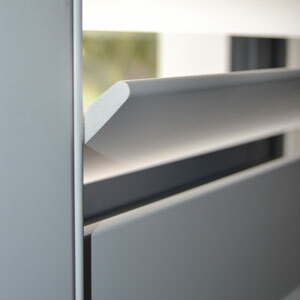 Use the tilt rod (if fitted) or gently by hand to open and close the louvres, never force.